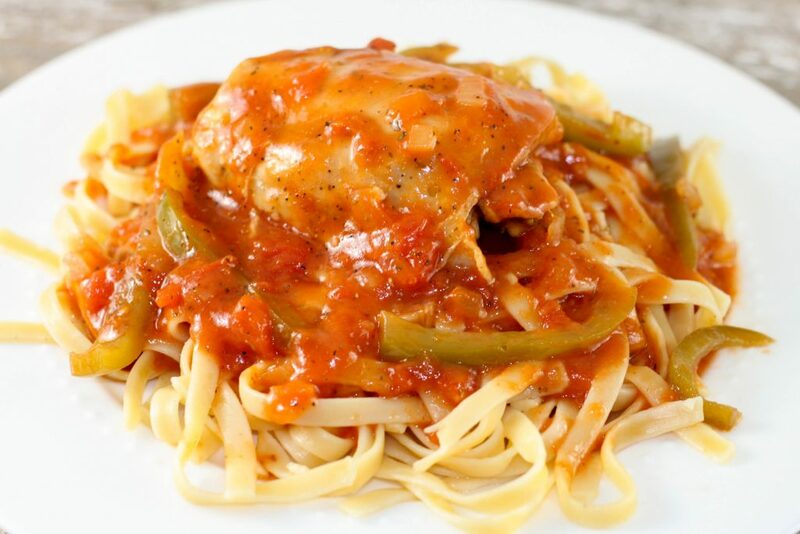 Instant Pot Chicken Cacciatore is an easy classic Italian dish that can be made quickly in your electric pressure cooker. This recipe also includes crock pot instructions. 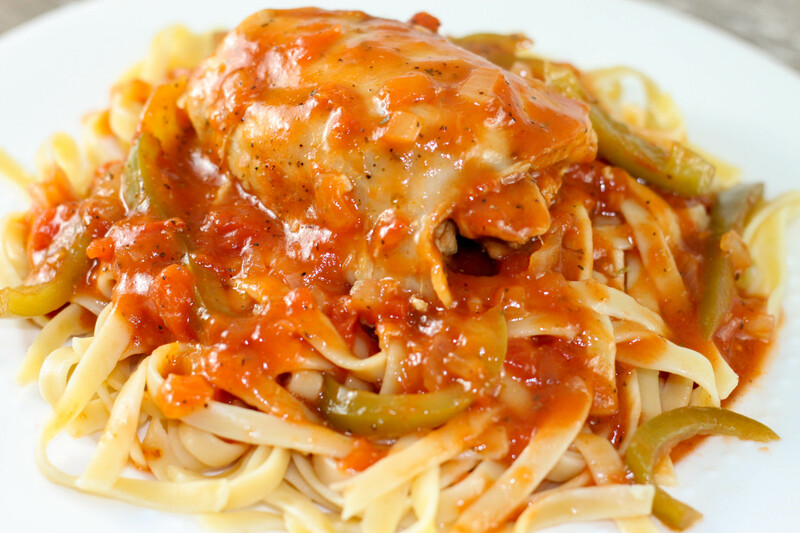 Don’t let the name fool you this recipe is really easy to toss together and one that everyone will love. 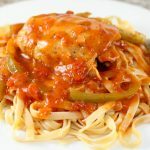 I knew this recipe would make a great Instant Pot recipe because it makes a great slow cooker recipe. Lightly brown the chicken in olive oil on both sides, add the garlic, onion and peppers. Saute for a couple more minutes. In a 6-quart slow cooker add the broth, tomatoes, Italian seasonings and stir. Add chicken mixture and turn to coat. Cover and cook on low for 5-7 hours or until chicken is done. 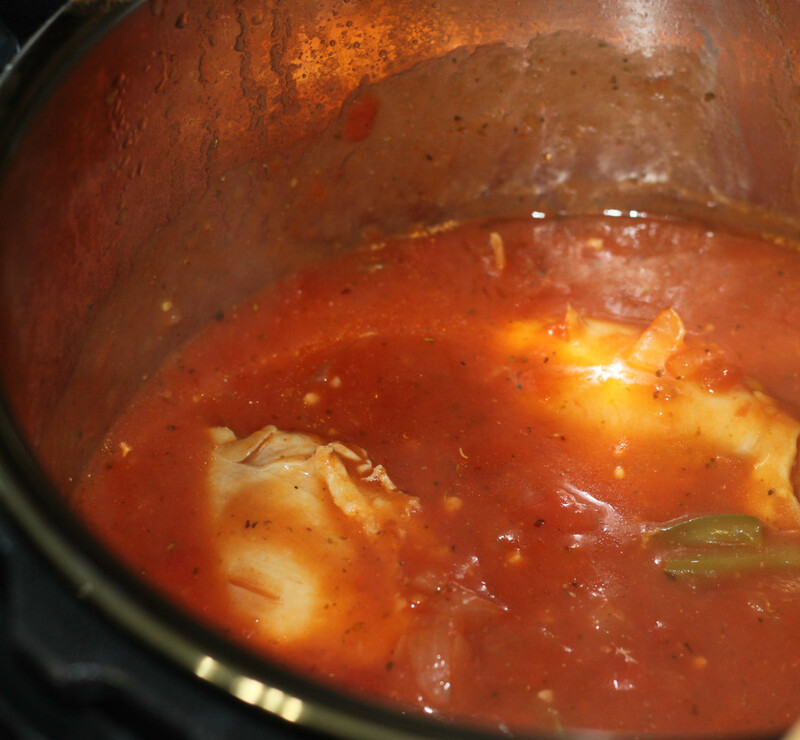 If you would like to thicken the sauce put 1/4 cup corn starch and 2 tablespoons of water in a small bowl, mix. Add to the sauce mixture and stir. Turn on the saute function on your Instant Pot and drizzle the olive oil over the bottom. Season the chicken with salt and pepper and saute on both sides until no longer pink. Add the garlic, onion, Italian seasoning, peppers and chicken stock and continue to saute a couple more minutes. Add the tomatoes and close the lid, make sure the steam valve is in the sealed position. When the timer goes off release the valve, use an oven mitt or kitchen towel for protection. Stir and let the sauce sit for a couple minutes. If you would like to thicken the sauce, in a small bowl mix together 1/4 cup corn starch and 2 tablespoons cold water. Add to the sauce mixture and stir. *Always check the temperature of your meat cooked in the Instant Pot to make sure it is cooked to a safe temperature. I don’t have thAt type of crock pot but would like to try these recipe. Could you prepare them in a regular 6 quart pot crock pot? Yes, if you look in the middle of the post there are instructions for a slow cooker. I hope you enjoy it! Good catch! I updated the recipe. You add it at the same time as the garlic, onions and peppers. Thanks for letting me know! Yes but the cooking time might be different. What would you guess for timing using boneless chicken? Depends on what cut you are using. The Instant Pot cooking guideline suggests 6-8 minutes on high pressure for chicken breast.